If you’re like most people, you probably don’t like blowing a bunch of stringy ‘snot’ into a tissue. Although it may be annoying that you feel like a mucus factory when you’re sick or suffering from allergies, it is an essential component in the human body. It can also tell you a lot about what is going on inside your body. The way your snot looks can indicate things such as allergies, a cold, the flu, a sinus infection, or sinusitis. So, it is important to open up that tissue and take a peek if you aren’t feeling great. No, mucus isn’t there just to make you miserable when you have a cold. Did you know that your body actually produces around 1-1.5L of it each day even when you’re healthy? Most of this mucus gets swallowed and dissolves in your stomach, so you never see it. Behind the scenes though, mucus helps keep your body running. It lines the tissues of your mouth, nose, throat, sinuses, and digestive tract. This keeps them moist and acts as a protective layer. Mucus also traps unwanted visitors from entering your body like bacteria and dust. When it does catch these foreign invaders, mucus has antibodies that helps the body kill them. So, even though you blame your mucus for making you miserable when you have the flu or a sinus infection, it actually helps keep you healthy. or fungal infection. There are six common colors that snot can take on, including: clear, white, green/yellow, red/pink, brown/orange, and black. Snot can change colors for a variety of reasons, but each color tells a story about what is going on in your body. Furthermore, the viscosity – or thickness – of your mucus can also tell you a lot. What Do The Colors Of Snot Mean? Clear: If your snot is clear, that’s a good thing. Clear snot is considered ‘normal’ or healthy. However, if you are experiencing a large amount of clear nasal discharge, it may be a sign of allergic rhinitis. This is the form of allergies that most people who suffer from them experience. You could be triggered by pollen, dust, animal fur, or other irritants. White: White snot differs from clear snot when it looks cloudy and clumpier than normal. Oftentimes, this points to the common cold. White snot is caused by your snot losing its water content, making it thick and cloudy. You might also be experiencing a sore throat, congestion, coughing, or a low-grade fever. 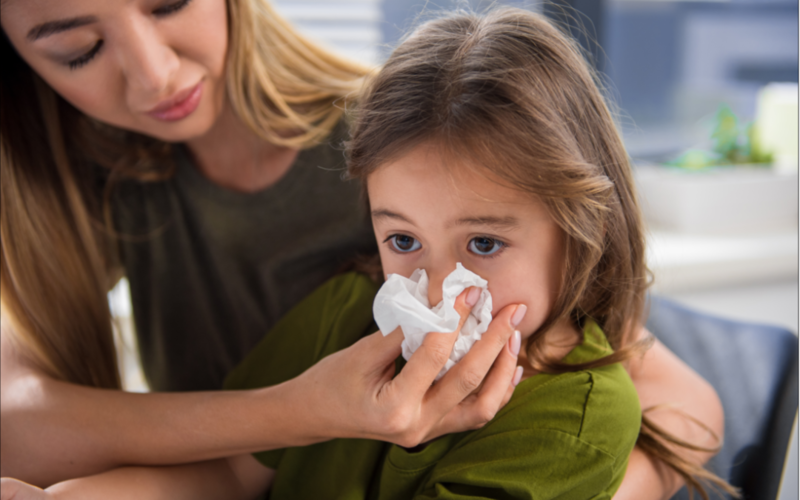 Yellow/Green: Yellow snot is a good sign if you’ve been experiencing symptoms of an illness. It means that your immune system is fighting back. The yellow color is caused by white blood cells gathering to kill invaders. Once they are done, they are discarded in your snot and turn it a yellow/brown color. If your snot turns green, it means your immune system is working very hard to fight the infection. This is often accompanied by snot becoming very thick. It can be a sign of a sinus infection or more serious bacterial infection. Pink/Red: Pink or red snot usually points to some sort of injury or nasal trauma. Snot can become stained red or pinkish from blood. This can happen because of a hit to the nose or because you have been excessively blowing it, causing it to dry out and bleed. Brown/Orange: Brownish-orange snot can be caused by old blood leaving the body and often follows pink/red snot. It can also be caused by something you inhaled that discolors the mucus, such as dirt. Black: Black snot almost always points to some sort of fungal infection. It is not common but should be considered serious and confirmed by a physician. Black snot can also appear in people who abuse illicit drugs or smoke heavily.